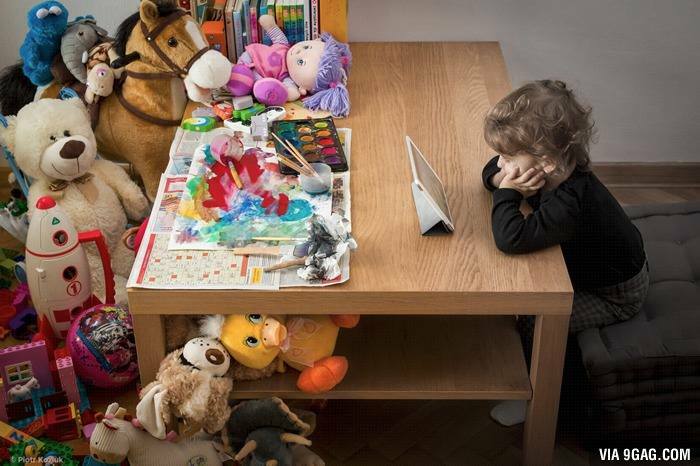 Children and Technology? Just how much and how often? I’m seeing this more and more with this generation’s kids. Why do we feel that this is the only way a child will stay engaged or even have fun for that matter? We are making them more dependent on technology. Just because your child says, “But all my friends have one” is not a reason to buy one for him/her. If you are going to buy one, at least be the one to manage how long your child spends on it. This shouldn’t take your child away from getting the opportunity to make friends, socialize, and maintain good, strong relationships. I have seen too many families give in to their children. And those same children at parties or any socializing event, instead of playing with other children, they are busy fiddling on their iPad/iPod, mom or dad’s phone, and tablets. Is this the future we want to carve out for our children? Yes, kids love technology, but they also love Legos, scented markers, handstands, books, and mud puddles. It’s all about balance.